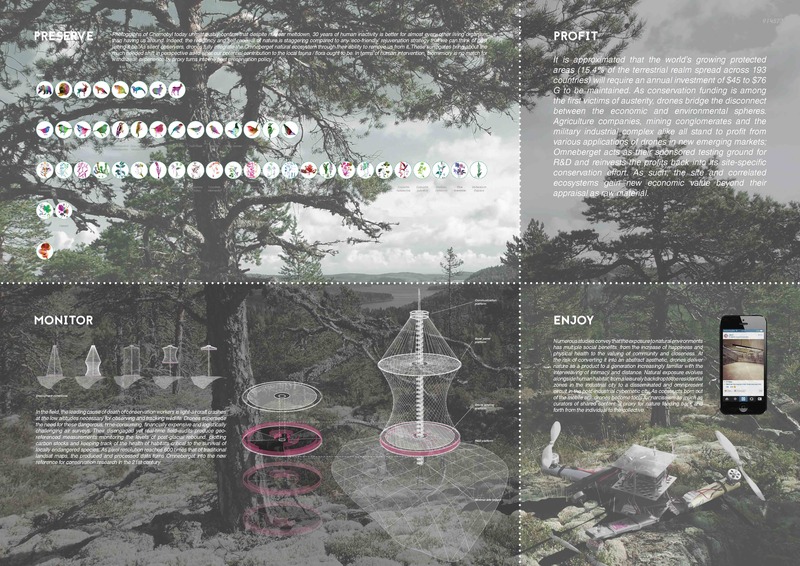 JURY’S COMMENTS: Dromneberget is as a statement about humanity’s destructive relationship with the environment, and how we have always given ourselves the liberty of interact with it as we choose. A common theme for bringing public awareness about the environment is to disconnect people from technology in favor of letting them interact with nature in a very hands-on fashion. This proposal turns that concept on its head and suggests that technology could be the savior rather than the enemy. 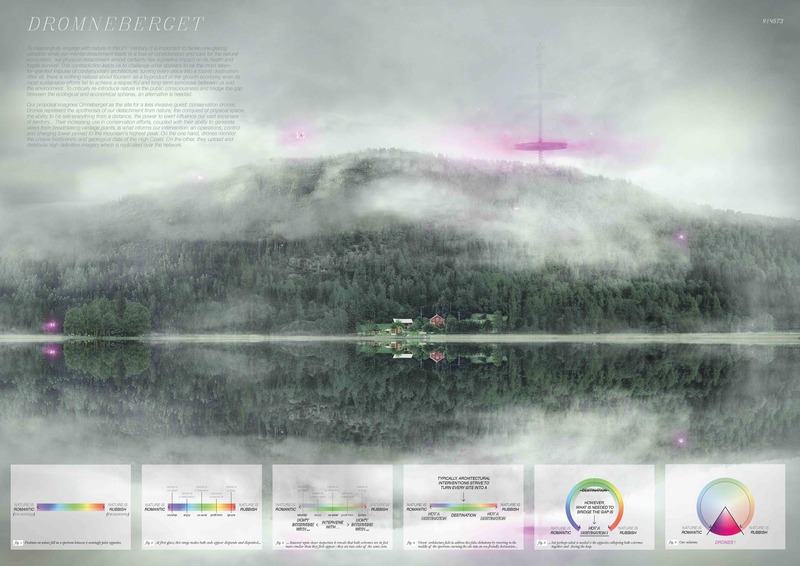 The proposal responds to the brief with a refreshing touch of science fiction by barring humans from the area as a means of safeguarding nature, suggesting that this future might not be too far away. However, to avoid bordering to dystopia, it proposes that technology could actually be of as much benefit to humans as to the environment. By offering the possibility of a digital visit, the Omne Mountain becomes a very democratic affair, available for everyone regardless of location. The celebration becomes an act of preservation, and vice versa. Clear diagrams and valid arguments provide a coherent storyline that comes to life in a visually strong presentation, turning Dromneberget into an alluring proposition.